The New OOC Thread - Please Read Before Anything! Can Be Found: Having been absent from the realm for years, she has recently returned for unknown purposes. Posted: Mon Jul 02, 2012 3:27 pm Post subject: The New OOC Thread - Please Read Before Anything! This board is old, and as I write this, everything else is locked. I have only just returned to Rhy?Din after a four year absence and there is much for me to review and many decisions I have to make regarding what direction my character, and this board, are heading now. I am excited to be back and anxious for a fresh start for both me and for Mary. Mary was very attached and caught up in some bad things before and now that she isn?t? We can finally discover who she is without those influences. Mary is a great character and I am really looking forward to seeing where she will go from here. I got my life straight and I want to see her do the same. In the thread entitled: ?Wanna post on the Bonny Corp Board ? Read First!? the initial entry is the one thing that presently still stands. Whether Mary reopens for business or not, there will still be someone around to answer the bell at the main gate. Just don?t try to get in without being invited ? you can?t. Though Mary is not staying there right now - far too many memories for her - Mei Mei will be. She is a character I created after using her many times in my own post to facilitate peoples coming and goings. She was Mary?s right hand and has been tending to the building with unwavering loyalty in the years that business has been closed. When I left my IC and OOC life were very confused and I want to do things right this time so please let?s have lots of player to player talk here! If it is of a more personal nature and you don?t want it on the board ? send me a PM. One of the biggest reasons for conflict in the past was that I didn?t communicate with the other players properly. I am intent on not making the same mistakes I did last time. That all being said? I?ve missed everyone so much! I look forward to meeting up with and hearing from those of you who are still around. I hope I have the chance to prove myself a better friend now that I am capable of being one. Power is not revealed by striking hard, or striking often, but by striking true. All I have to say is welcome back an you have been missed. An much <3 to ya! "Respect---never came to those just waiting for it." A very happy welcome back! just leaves a room full of blind men. I know I already welcomed you back, but still. Welcome back, hun. You have been missed from this place, and I look forward to the stories that we write together, and the ones that you write on your own. Brian - Thanks so much for the welcome and for saying that I've been missed. Means a lot to me. Joshua - my new partner in crime... Thanks so much for everything. Your character has been such an unexpected joy in what was a very grim life for Mary. And thanks for helping me get the ball rolling and for giving me some ideas for new directions to take, both here and in the club. Will make things very interesting. I had hoped to find more of the old crew around but I guess time will tell. I hope no one is too upset at the way I disappeared. A lot of bad things were going on at the time and I am sorry for not handling it better. I suppose some people may be wondering why I am bringing up all that FotA stuff... Just something I had to finish really. These violent beginnings have violent ends. Has penance been paid or is there more to come? As I said I am bringing back Club Babylon but it will no longer be just a place for debauchery and violence. That will still be - do not fear - but it will be a front for another business as well. More on that when the time comes. Again - thank you everyone for your support. Love you all! No problem hun. It's been a blast to talk to you again, and the play has been a blast to play as well. Looking forward to seeing what we can come up with for the club, as well as what you do with this folder. Let me know if I can help with that as well. Can Be Found: The Bonny Corporation's main office building. Posted: Sun Jul 22, 2012 4:53 pm Post subject: Phone lines and Mail boxes. I will be opening a thread for receiving phone calls and messages sent by mail. Until Mary's number becomes more available all calls will go to Mei Mei's SECURE company phone. No eaves dropping! When Mary does start giving out her number again though just title it to her and she will be the one to answer. If you wish an audience without having to deal with such things everyone is welcomes start a thread of their own. Just make sure to come with respect and in good faith. Remember to come to the front gate and ring the bell. Just do not forget! No one can get in or out that way. It is merely a way to announce your presence so you can be escorted in by means of the portal. But don't let appearances fool you, they can be as fierce as any dragon. Yet they're not here to fight our battles, but to whisper from our heart. Reminding that it's us. Its everyone of us who holds power over the world we create. Being new to the boards here, I wanted to pop in and say hello to everyone who actively plays here. Rose, congratulations on getting the BC and Club Babylon up and running again darling, I know it's meant allot to you throughout the years to get this done. It's great to see you playing and having fun on the boards again hun. I'm looking forward to us all playing together, I'm sure well have one hell of a time. It's alright Eric on the posts. No rush on them, like I told Rose's player. Get them up when you have the time. In the mean time - just for fun - everyone should go check out the poll I made in Babylon. Go weigh in and vote! So sorry the meeting had to be put on pause for so long! Sounds like we might be able to get it going again. Thinking maybe this weekend..? Want to touch base with everyone and make sure we're all ready to go. Well, for those of you who don't know, I am pregnant. Hence the extraordinarily long delays in getting everything done. I wanted to thank everyone for their patience - most awesome group! Also wanted to make it known though, that I am going to be inconsistent until this is done. I'm going to try to get stuff moving again but I don't want to make any promises before I do... Health stuff and what not... I can't be sure. Everyone is welcome to work on their own projects and what have you. Feel free to post whatever. In fact, you'd all be doing me a huge favor keeping something going! I do promise though that we will finish what we started as soon as possible! I haven't forgotten you! Love to all Bonny people, friends, and readers! speaking of popping things out... Im back, and putting up my post in the board meeting shortly. Sorry it's taken me a bit to respond... Had the week from hell so it set me back. I'll do my best to post in the meeting today and we can all go from there. Next thing I want to say is... it's a boy!!!! He's healthy and amazing! I had some minor complications that had me laid up longer than I expected... but I'm all better now! Aside from never sleeping... I'm myself again! Hallelujah! Can Be Found: Ravensheart Academy and Bonny Corp. Awwwe!! Sweet! It's a boy! Congrats hun! Congratulations hun. Good to hear you are doing well, as well that the baby boy is doing well. As always no rush on the posts, just worry about yourself and the new addition to the family. Ditto! Congrats and no rush. Get some rest! On that note though... Wanted to let everyone know that I posted a thread in Club Babylon as a sticky, a place to post for ideas for our upcoming event or even just ideas for any future events we might want to have. Want to get some good entertainment going there! Speaking of... I really feared when I got so sick and knocked out from this pregnancy that we weren't going to make it through this... That the boards would be taken down and I'd lose everything again... And though I had so much on my mind at the time, I was horribly saddened to think that I wouldn't have anything to come back here to. I knew that when I was able I'd love to be a part of this place again... playing with all of these amazing people I've come to know and made friends of... I'm so incredibly happy that you all stuck through this with me and I'll never quit trying to thank you all for it. Best I can do is make it worth your while I guess. LOL So I'll be working as hard as my time allows me to. Thanks to Lillianna for responding to the party thread in Club Babylon. As for the rest of you... Give me something, please! I've made the offer to people individually but just to make sure everyone knows... If you need any help with anything on the site let me know. 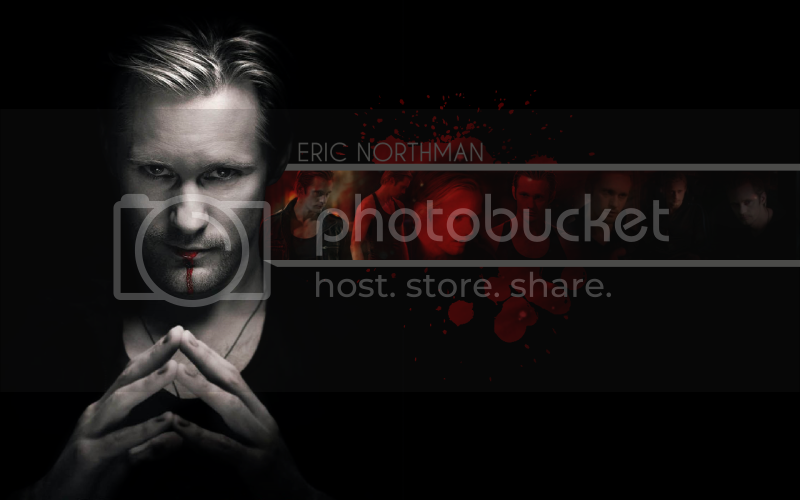 I've got a photobucket I use for posting pictures if you don't have a place of your own and I've created items for people as well. Just send me a message and I'll do whatever I can. So Devil's Night is well in progress and thanks again to everyone for pulling with me to make this happen!!! We want it to be a forum AND live event though... Having a headline fight in the arena hopefully that can be done live. Apologies to everyone for the delays in the Bonny line plots. A number of our members are experiencing health issues and or have family that are sick and a number of real life complications. I myself have a few threads waiting on me and if folks are able to bare with me just a little longer I am going to push through this. I've had trouble in the past and doubted if I could make it but I've worked too hard to quit because of the betrayal of my body. My mind, heart, and soul long to be shared, to be a part of this experience with all you other amazing individuals. I've been so fortunate to be even a small part of this never ending story... I count it as a great blessing to have this. Not about to give it up while I still have breath in my body. If any want to distance or step out just do me a courtesy and let me know 'cause I can give understanding as well as receive it. For those of you who, like me, have found yourself in a bad way... Don't give up! We've all made this possible together. By whatever grace allows our hearts to keep beating, by the determination and strength of our will, by the creativity and the dreams of our minds that inspire our work... We will make this happen. Thanks to everyone, to those still in the game thank you for your continued patience and support. For those who are out because of their own health and the health of their loved ones... Thank you for always pulling it out when it counts. We wouldn't be here without each other so let's keep on going because sure as we need anything... We need a place to tell our stories. To bring our suffering to the page and find meaning and share insight. I love you and wish you, as well as your loved ones, all the best.